This is a round Diamond Portland Cement Company porcelain sign. This particular Diamond Portland Cement Company sign is predominantly green with a red border and white text. 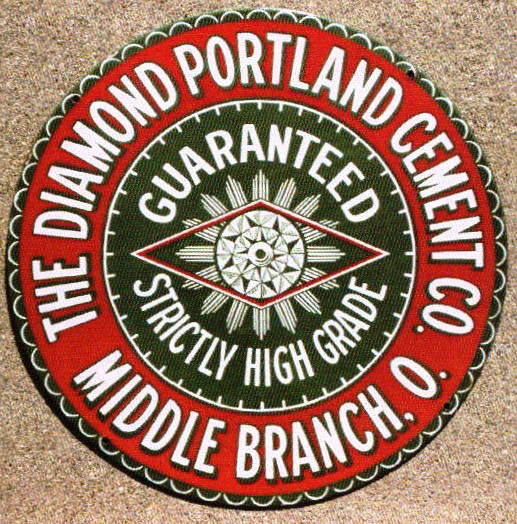 It reads, “The Diamond Portland Cement Company, Guaranteed Strictly High Grade, Middle Branch, O.” and features a multi-faceted white diamond shining in the center.